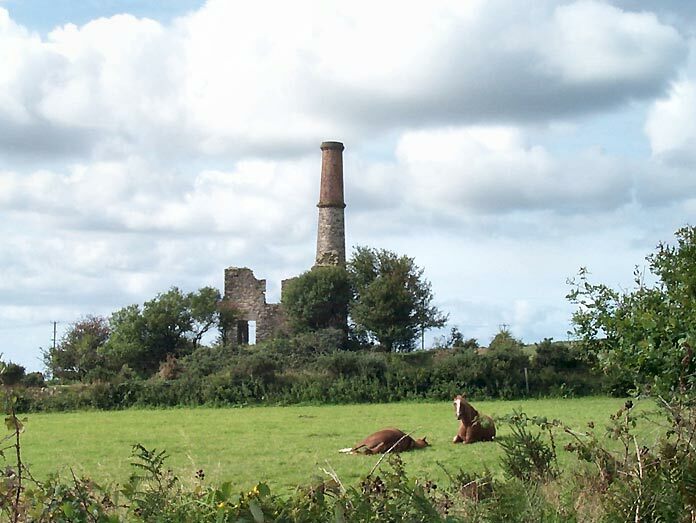 In the agricultural landscape flanking the wooden slopes of the Tamar can be found many relics of a once important tin and copper mining industry. The mineral lodes formed outcrops from Callington and Kit Hill eastwards to the fringes of Dartmoor. They were centred on Gunnislake and crossed the Tamar Valley between Luckett and Calstock. Some of the most important mines were Devon Great Consols, Bedford United (east of the Tamar), Drakewalls, and Gunnislake Clitters (west of the Tamar) with many successful mines on or around Kit Hill. The Tamar served as an essential means of transportation with its many quays together with the then large river ports of Calstock and Morwellham. The mining industry around the Tamar Valley started in the 13th Century with lead and silver mining in the Bere Alston and Lopwell area. The industry reached a climax in the mid 19th century with the area becoming heavily industrialised employing thousands of miners before its collapse at the end of the 19th century. Hard to picture when visiting its peaceful countryside which was declared an Area of Outstanding Natural Beauty in 1994.